While Unveiled unpacks the influence of the colour white on wedding fashion, another exhibition has just recently opened in Wellington that explores fashion’s long term obsession with black. Black in Fashion is a ‘pop-up’ exhibition curated by former fashion designer Doris de Pont. Doris and her creative team have populated a raw and empty shop space to 60 outfits full of attitude. The pop-up exhibition can be found at 1 Brandon Street, and open daily from noon to 6 pm until the 18th March. Entry is by koha. The exhibition is accompanied by a newly published book Black: History of Black in Fashion, Society and Culture in New Zealand, which explores New Zealand’s obsession with wearing black through a series of essays ocovering fashion, sport, music, film, cultural politics and Maoridom. Te Papa staff have contributed two essays to the book. History Curator Stephanie Gibson explores The Black Singlet as a Cultural Icon, and I have focused on a group of contemporary designers who view black is central to their design practice. 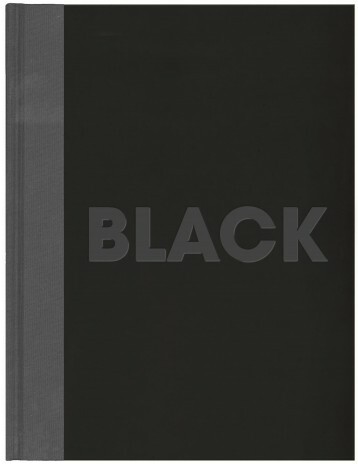 Black the book – exploring the history of black in fashion, society and culture in New Zealand. In conjunction with the exhibition and book, a number of public programmes are being held in Wellington, and in Dunedin. The dates are below. If you can’t make it to one of these, you can put your own views forward on black via a special Facebook page dedicated to Wearing Black! They have just opened a poll. “Do we wear too much black?” Black vs Colour debate – moderated by Dr Prudence Stone, 7 March, 6-7pm, , 1 Brandon St.
Book launch and panel discussion 12 March 4.30 – 6 pm. Panel includes Doris de Pont, Dr Prudence Stone, Claire Regnault and Stephanie Gibson. Venue: Museum of Wellington. Panel discussion, Wednesday 28 March, 6-7.30 pm, Dunedin City Library. Panel discussion led by Doris de Pont, who will join local contributors Jane Malthus, Elaine Webster and Ron Palenski, and Claire Regnault from Te Papa. On the subject of the black singlet, I’ll leave you with a wonderful photograph from Te Papa’s collection. It is from Ans Westra’s iconic series, Washday at the pa.